Do people like to spend time with you? Are you a joy to be around? Don’t you want to spend time with people who are happy? So, why would people feel differently about you? Dennis talks to Dr. Stephen Marmer, member of the clinical faculty of the UCLA Medical School and a psychiatrist in private practice in Brentwood, CA. 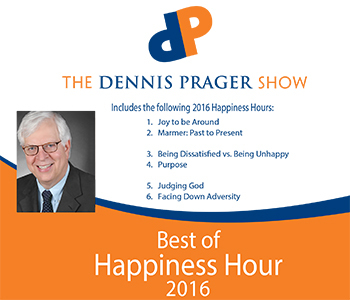 The topic: how the unhappy past can intrude on present happiness. There are important differences between being dissatisfied and being unhappy. Dennis explains. Callers react. You need a purpose in life to be happy. If you believe in a judging God, will that make you a happier person? Dennis tells the story of his visit to a man with severe ALS. Where he expected to find great unhappiness, he found the opposite.